Instagram Contest Tagging - Is it Over the Top? In the last few months I have all but stopped entering Instagram contests unless they are very local to me. Tagging has gone overboard and contests are neither fair or worth it sometimes. Instagram is a very popular place for contests and giveaways but also the new hot spot for fake accounts and scammers. Unlike other platforms Instagram doesn't offer a sharing option. This means repost or regram contests need you to either take a screenshot or use an app like Repost to share their content. I refuse to clutter up my Instagram account with other peoples stuff. When it comes to Instagram tagging contests, I just scroll past and I won't enter. When I see these terms in an Instagram contest I know the odds are against me, and a ton of fake accounts will be entering that contest and most likely one of them will win due to volume of entries. "Tag a friend - Unlimited tags welcome"
"Tag 2 friends - Unlimited comments allowed"
"Tag 3 friends, just tag 3 different friends in each comment. Enter as many times as you like"
If you spend even a small amount of time on Instagram you can quickly see how many fake accounts are entering these contests, and the brand has done themselves a great disservice by holding this type of promotion. Tagging contests put your account in jeopardy as well, all for a prize? No thank you. Instagram has strict limits on how many tags you can do in a certain amount of time. Having your account banned or temporarily blocked for a contest just isn't worth it. One once you have been penalized by Instagram one too many times you are risking your account being gone forever. Instagram - Maximum of 30 likes, follows or comments within 1 hour. Instagram -Posting too often. 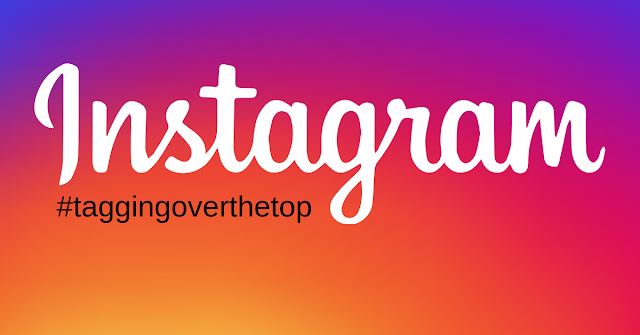 The most you should upload a photo to Instagram is 1-2 times a day MAX. Instagram - There are numerous different bans you could find yourself stuck with : Shadow ban, action ban and ban. Instagram Ban -If you keep landing in Instagram's so called jail you will be banned and then most likely your account deleted permanently. International , tag as many friends or repost/regram contests on Instagram are ones I avoid. Some Instagram contests are now asking people to share their post into your Instagram Stories. This is better than having to repost or regram because it doesn't ruin your profile by cluttering it up with other peoples stuff, BUT... it's almost close to impossible for a promoter to keep track of legitimate entries that way making the contest a lower chance of winning contest and not a fair contest. There are a few things that will tip you off that an Instagram account is more than likely a fake account. No personal pictures on the account. When it comes to contests/giveaways on Instagram sticking to your local companies and brands is your best way of winning some amazing prizes and even making friends with contesters local to you.Watch the wording of contests on Instagram and avoid certain ones that are already swamped with their fake entries. What are your thoughts on Instagram contests that allow unlimited tags?